The Annual Spring Networking and General Membership Meeting is being held at the Catamaran Resort and Spa. 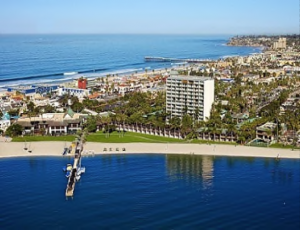 The resort is conveniently located within minutes of San Diego Airport and the Amtrak Station. 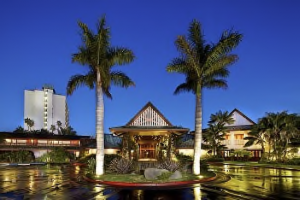 The reduced rate of $189 per night is valid until March 21st. Please call 858-488-1081 to reserve a room in The Other Bar block of rooms. Please call 858-488-1081 to reserve a room in The Other Bar block of rooms. This year’s program offers multiple recovery meetings, and at least 3 hours of MCLE credit, including the three required topics, Ethics, Substance Abuse, and Competency. Networking registration is only $350* per registrant, and $275* per guest. The fee includes all the MCLE credits, lunch and dinner on Saturday, and Sunday brunch. A small portion of each fee is dedicated to funding scholarships for new members experiencing financial hardship. REGISTRATION CLOSES ON APRIL 14, 2017. If you are unable to register prior to April 14, 2017, please contact Lisa R. at 714-650-1003 to discuss options. Online registration using your credit card is preferred. Go to www.otherbar.org. If you wish to pay by check instead, please print, complete and detach the registration form below, make your check payable to “The Other Bar, Inc.” and send to: The Other Bar, 2643 Gianelli Lane, Escondido, CA 92025.